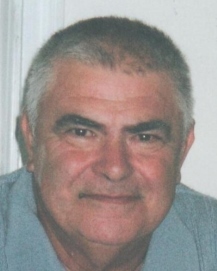 Mr. Jose M. Andrade, age 74 of Bourne Street, Bristol, died Sunday, February 3, 2019 at his home, surrounded by his loving wife and family. He was the husband of Laurinda (Sousa) Andrade, his wife of 48 years. Born in Sao Miguel, Azores, he was a son of the late Serafim and Maria de Conceicao (Soeiro) Andrade. A resident of Bristol for 50 years, he was a supervisor at Premier Thread Company, formerly of Bristol for 32 years. He then worked at the Home Depot in Seekonk, MA for 5 years, retiring in 2007. He was a communicant of St. Elizabeth’s Church, Bristol, and enjoyed gardening, salt water fishing and a frequent cup of quality coffee, but most of all spending time with his wife and extended family. His warm and generous spirt left an immediate and lasting impression on all those he encountered. He is survived in addition to his wife, by two sons; Mark Andrade (Barbara Silvia) and Steven Andrade (Amy), of Bristol, four grandchildren; Jared, Cory, Zoey and Sydney Andrade, two step grandchildren, Hayley and Sarah Goss, two sisters, Alcidia “Elsie” Texeira (Manuel) of Rehoboth, MA and Ursulina “Lena” McKenzie (Kenneth) of Barrington.